GWERU - The case of an Airforce of Zimbabwe pilot, Tashinga Musonza (29) who allegedly assaulted and killed his lawyer girlfriend will be heard at the Bulawayo High Court on February 19, 2019. The case could have been heard in Gweru during a High Court Circuit currently underway but the pilot’s lawyers raised technical issues that will take a lot of the judge’s time that the Circuit Court can afford. 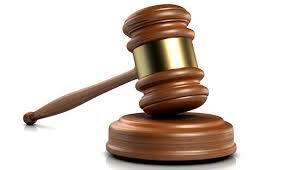 The Circuit Court will sit in Gweru for just two weeks and the Judge has to hear during that period. The Mirror understands that Musonza’s lawyers are challenging the legality of assessors who sit in the High Court together with the Judge. Musonza is accused of killing his girlfriend Lucy Duve (32) last year who was a lawyer by profession. He allegedly assaulted the deceased until she died. Chief Public Prosecutor Samuel Pedzisayi who spoke to The Mirror said that Musonza’s lawyer Pepukai Mabhundu of Mabhundu and Ndlovu Law Chambers made an application to challenge the legality of two Assessors who sit in the High Court saying that the Constitution does not provide for that. “Musonza’s case has been remanded to February 19, 2018 at the Bulawayo High Court because his lawyers are challenging the legality of Assessors in the Circuit High Court.